Al now has a radio station he’ll really love. Listened In is 2ZY’s weekly air-check blog. Every week we listen to a random twenty minute sample of a station or programme in the news. 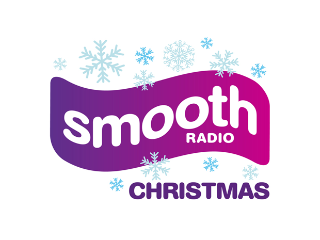 ID: Smooth Christmas, an extra service from smooth radio. Generic cross-promo to Simon Bates on Smooth Radio. Sung Christmas jingle. Gladys Knight/Do you Hear what I Hear? Band Aid/Do They Know It’s Christmas? So Smooth Christmas is back for second (and final?) outing. Reading John Simons’s quote to Radio Today it looks like this is a Trojan Reindeer, designed to get some buzz around the Smooth brand, have some fun, and deliver some tag along listeners to the main station after Boxing Day. There are simple promos on Smooth Christmas making this connection. The songs are bankers, and the imaging is perfectly acceptable. But based on a twenty-minute breakfast listening, this is … a cold, cold (Smooth) Christmas. Christmas is all about warmth, and shared experiences, and friendship. So a stripped-back and presenter-less radio station has to work harder to make any more connection than a jukebox. Some more production would help. A bit more audio graffiti to stoke the Christmas memories. Maybe some Christmas memories from the Smooth team? Even some light voice-tracking at peak to throw in topical Christmas content. I’m no audio dweeb either, but on my trusty Evoke (Smooth Christmas is on D1 and online) , it wasn’t just the snow sounding crunchy. At 64k mono, you’re probably at the limits of what’s acceptable for a music station, especially one playing some crooners, ballads and classics. The appeal, the purpose and the schtick of Smooth Radio Christmas is clear. A bit more audio wrapping would help it sound less like being handcuffed to a radiator in Clinton’s Cards. This entry was posted on Wednesday, November 21st, 2012 at 11:51 am	and is filed under Uncategorized. You can follow any responses to this entry through the RSS 2.0 feed. You can leave a response, or trackback from your own site.